Muzzleloader - Speer makes round balls by cold swaging, so there are no voids that can ruin a good group. 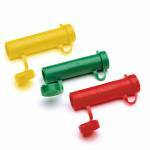 They are exceptionally round and uniform, and packed in reusable plastic boxes to keep them clean. 50 Caliber 177Gr 100 balls Lead ..
Muzzleloader - Speer makes round balls by cold swaging, so there are no voids that can ruin a good group. They are exceptionally round and uniform, and packed in reusable plastic boxes to keep them clean. 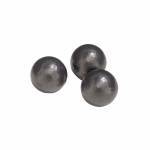 .50 Black Powder 182 Gr 100 balls Lead ..
CCI's primers are highly-evolved products because they continuously test and improve. Today's CCI primer is more sensitive, easier to seat, and more compatible with progressive and automated loading equipment than even before. CCI primers have always incorporated modern non-corrosive and non-mercuric initiator mixes. - 100 Count .. The original PowerBelt Bullet was the Pure Lead, and it's still a great choice for the economy-minded shooter, whether for hunting or just target shooting. Caliber: 50 Black Powder Bullet Weight: 245 GR Rounds Per Box: 20 Bullet Type: Hollow Point ..
Straight-through tube allows for loading powder and bullet in one fluid motion. Package of 3. ..
Ignition is everything in muzzleloading. That's why Federal premium has developed the new 209 Muzzleloading Primer to complement its line of B.O.R. Lock MZ bullets. This provides superior resistance to moisture and hot, reliable ignition of both granulated powder and pellets in any conditions-without causing the excessive fouling in the breech area typical of standard shotshell primers. ..
Gold Medal primers are manufactured to exacting tolerances and use Federal's exclusive basic and lead styphnate priming mix for optimum primer ignition. 210M Large Match 1000 Primers ..
• B.O.R. Lock MZ System: Expanding polymer base cup engages rifling and seals the bore for extraordinary velocity and accuracy • Required loading force averages about half that of most sabots • Fouling-cutting ring scours powder residue from the breech as the bullet is loaded, resulting in consistent seating and reducing the need to clean between shots • Tough, hard-hitting lead bullet with a polymer tip Caliber Bullet Grain Ballistic Coefficient Bullet Style .. 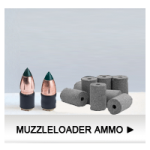 The original Pyrodex Pellet designed for use in 50 caliber, in-line rifles. A single 50/50 pellet may be used for a light target or small game load while two 50/50 pellets may be combined to provide a potent 100 grain equivalent load for big game. May be used with standard caps, musket caps or 209 ignition systems. Extremely Flammable - Sold in Store Only, not shippable. .. 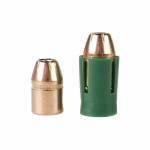 Designed for use in 50 caliber in-line rifles. A single pellet may be used for target or small game and two pellets may be used to create the 100 gr. equivalent for big game. Easy clean-up, just like Triple Seven granular powder. 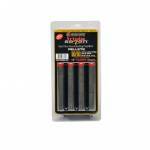 Designed for use with 209 shotshelll primers only. Extremely Flammable - Sold in Store Only, not shippable. .. The 50/30 Pellets are designed for use in conjunction with 50/50 Pellets to tailor loads specific to a given rifle. The 50/30 Pellets may be used in any combination with 50/50 or other 50/30 Pellets in charges up to a maximum of 100 grains. Easy clean-up, just like Triple Seven granular powder. 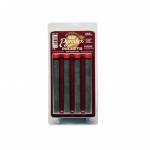 Designed for use with 209 shotshell primers only. Extremely Flammable - Sold in Store Only, not shippable. .. The XTP is one of the most accurate pistol bullets ever made, and it's just as accurate in your muzzleloader. No additional lubricants or patches are necessary with Hornady's XTP bullet/sabot combinations. 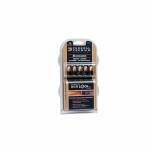 Caliber: 50 Black Powder Bullet Weight: 250 GR Rounds Per Box: 20 Bullet Type: Sabot .. The XTP is one of the most accurate pistol bullets ever made, and it's just as accurate in your muzzleloader. No additional lubricants or patches are necessary with Hornady's XTP bullet/sabot combinations. 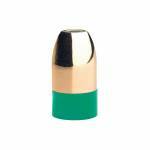 Caliber: 50 Black Powder Bullet Weight: 230 GR Rounds Per Box: 20 Bullet Type: Sabot w/TP Hollow Point ..